Along with the Indoor championships, the Winter series tournaments mark the end of the winter season. Points gained in the individual tournaments are counted in the seeding for the championship. The levels we offer will depend on registrations received. The number of starting places will depend on how many courts are available. In the summer, Beach Hamburg will be hosting a number of tournaments for the Hamburg Volleyball Association. Working in collaboration with various partners, we will be organizing MIXED tournaments as well as a range of ladies and men's tournaments at Beach Hamburg. 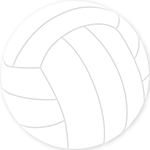 Registration is solely available via the Hamburg Volleyball Association website.